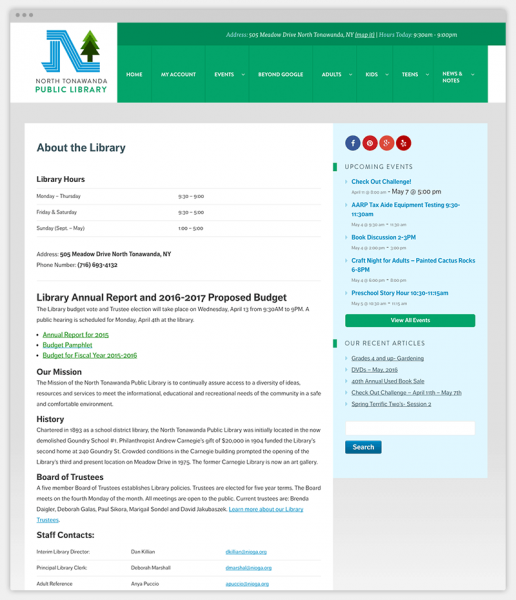 North Tonawanda Public Library’s mission is to allow its residents and guests access to information in as many forms and mediums as possible. The Library is a hub for community driven activity and offers many services and experiences for its members. 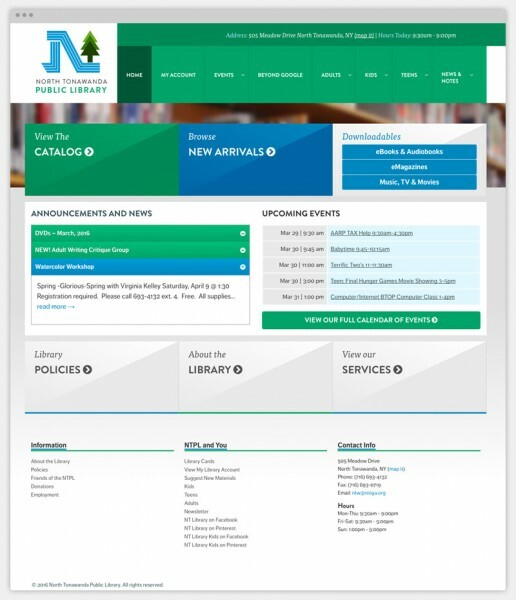 As with most libraries, the NTPL has many avenues for its guests to find information both physically within the library walls, but also throughout their website. Building a site that was easy to funnel into the area of importance for a guest visiting looking for information was priority number one. Also important was the ability for library staff to add and update content often.